Now you don’t need to use PS4 Android emulator to play PS4 games on Android. You can simply use Remote Play PS4 Android app to enjoy all PS4 titles on your smartphone. Just follow-up this guide carefully! Since PlayStation 4 has a lot of biggest gaming titles, every user may wish to play PS4 games on Android smartphone. 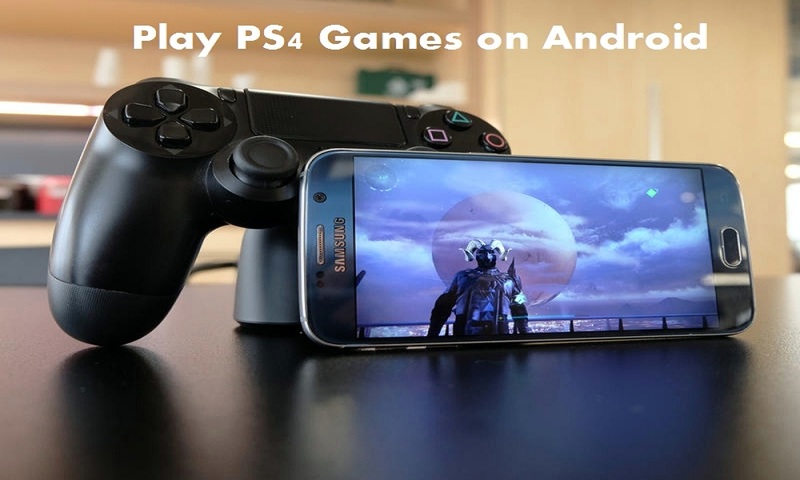 Well, why you need to carry PS4 anywhere if you can play PS4 games on your mobile phone with the help of popular remote play PS4 Android app. Am I right or wrong? What do you say? Are you ready to play PS4 titles on Android? Well, the great thing is you can play PS4 games on Android without emulator if you go through this guide. Since there is a Stream Link Beta app from Valve available, you can enjoy all PS4 titles on Android with ease. Stream Link’s screen mirroring power let you cast PS4 games from your PC to Android. You just need to pair a Bluetooth controller or Steam Controller to your device, connect to a computer running Steam on the same local network, and start playing your existing Steam (PS4) games on Android. Note: Make sure that your Android device is running Android Lollipop or later version. Make sure your Bluetooth controller is compatible with your Android device. Step #1: Download and install Stream Link Beta app from the Google Play Store. Step #2: Open the Steam Link beta on your device. Step #3: Now pair and connect the Bluetooth controller to your device. Step #4: Choose the computer you wish to stream to and tap the Start Playing button. Once the Stream Link Beta app has been set up, follow the below steps to start playing PlayStation 4 games on Android. Step #5: You should set up Remote Play PS4 Android. Step #6: Now start the Remote Play app, you will see your PS4 screen on your computer. Step #7: After that, start the Stream Link app. Step #8: Tap Start Playing. The computer screen will load into Steam’s Big Picture mode. Step #9: Use Alt-Tab to select your Remote Play screen. Step #10: Enjoy PS4 on your mobile device! Your range may be limited since the Remote Play app requires you to connect your PS4 Sixaxis directly into your PC. Well, this was the straightforward way to play PS4 on mobile phone. There are also PS4 emulators available online which you use as well. But for sure you won’t get the real emulator to play PS4 games on smartphone. Most of the emulators are deal with unwanted games not like PS4. Once after started playing PS4 games on your Android phone using this guide, please do not forget to give us your opinion in comments. You can also share any other working method to play PS4 titles on smartphones.